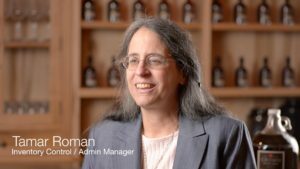 Improved inventory management was a main theme in the Crown Maple® case study video. But you can’t tell the whole store in 3 minutes. “Before we had Dynamics GP, we had QuickBooks and we didn’t have an inventory module at all. We were just tracking inventory in Excel or manually. Now I have easy ways to upload information about our current inventory levels. Are you looking for results like Crown Maple? If you are a distribution company that is looking for better inventory management, contact CAL Business Solutions to determine if Microsoft Dynamics GP is the right ERP system for your needs. Download the white paper: 10 Questions Every Distributor Needs To Ask Before Buying Accounting Software.